Apply our eye care crème in the morning (it’s a great base for any makeup products) and then again at night to rehydrate your eyes while you get your beauty sleep. It will quench your delicate eye area with moisture without that oily or heavy feeling! This formulation utilizes skin care pharma-grade actives assembled as sub-micron spheres in a deeply moisturizing, extra-mild base for most effective delivery and prolonged release in the skin. Apply liberally onto your skin in the morning and then again before bedtime. Spread evenly, rubbing the crème gently onto your eyelids and massaging gently around the eye area. Stop usage if any irritation develops. Keep out of reach of children. Centella Asiatica Extract: This herb has an interesting history, and has been used in herbal medicine for ages, yet Centella is a relative newcomer to skin care cosmetics. It is an excellent ingredient to include in skin care creams and lotions, as it has a pronounced effect on the health of the skin. osemarinus Officinalis (Rosemary) Leaf Extract: Topical use includes a help for rheumatism, arthritis, neuralgia, muscular complaints, wounds and reducing skin fragility while boosting the skin in general, since it has a great ability to increase circulation and also contains antioxidants which have anti-ageing properties as they reduce the damage caused by free radicals. Squalane (olive oil-derived wonderful for all skin types—even the most sensitive! Nature’s greatest moisturizer) Softens, diminishes tiny facial lines. Heals, soothes dry, irritated skin. Creates a barrier to protect your skin against the harsh environment. 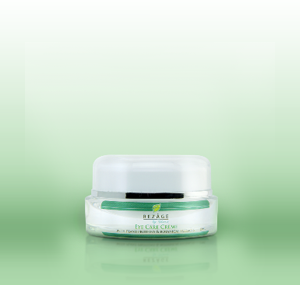 As a base it makes your moisturizer and facial treatment work more effectively. Squalane is 100% compatible with the natural oils of your body. Hydrolyzed Rice Bran Protein and Oxido Reductases– plant-derived actives that reduce dark circles and puffiness around the eyes. Improves micro-circulation, strengthen native collagen and elastin matrix, and reduce the presence of free radicals to delay the visible signs of premature aging. Tocopheryl Acetate, or more commonly known as Vitamin E, is a natural preservative, anti-oxidant and moisturizer. It reduces trans-dermal water loss and helps maintain connective tissue. It is effective as a natural defense against harmful UV rays, preventing hyper-pigmentation and sun damage. Vitamin E is used in all kinds of cosmetic products and is taken as vitamin supplements for skin care, hair care and cell generation. Sodium Ascorbyl Phosphate (Vitamin C source, anti-oxidant), The forms of vitamin C that are proven most stable and effective are: ascorbic acid, L-ascorbic acid, ascorbyl palmitate, sodium ascorbyl phosphate, retinyl ascorbate, tetrahexyldecyl ascorbate, and magnesium ascorbyl phosphate. Regardless of marketing hype – there is no one “best” form of topically-applied vitamin C. All antioxidants, including vitamin C, are vulnerable to deterioration in the presence of air and light. If a product containing antioxidants does not come in airtight, opaque packaging, don’t buy it! So what can vitamin C really do? Copyright @ 2017 by Rezage-by-Yelena.